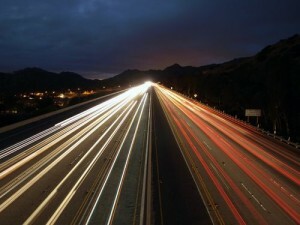 Hit-and-run accidents have long been a problem in California and Los Angeles in particular. When people are victims of hit-and-run drivers, they may be left facing severe injuries and have difficulty with holding the responsible parties accountable. Under California law, drivers who are involved in accidents are required to remain at the scene for law enforcement officers. When they instead flee, they may face criminal liability as a result. Historically, one issue that led to some drivers fleeing the scenes of accidents is that some of them were undocumented immigrants. They fled because of fears of being deported based on driving without licenses and insurance. California passed a law in 2013 that became effective on Jan. 1, 2015 that allows undocumented immigrants to get special driver’s licenses to prevent them from driving without licenses and insurance, and a study has shown that the availability of these driver’s licenses has led to a decrease in the number of hit-and-run accidents in the state. In California accident cases, it is common for insurance carriers and defense attorneys to try to dispute liability in an effort to establish the comparative fault of injured plaintiffs. A recent case, Melissa Alvarez and Lorenzo Alvarez, a minor v. Syar Industries, Inc. – Napa County Superior Court Case No. 26-67154, demonstrates how some defense lawyers and insurance companies attempt to place blame on the injured victims as well as how having help from an experienced personal injury attorney might help to defeat the defense arguments. On April 17, 2015, a 33-year-old juvenile hall counselor was driving her 2005 GMC Yukon on Highway 221 in Napa County accompanied by her 3-year-old son. As she was traveling north in the number two righthand lane, a street sweeper that was being driven by an employee of Syar Industries was cleaning up gravel that had been spilled in the merge lane. The Syar Industries employee attempted to complete a U-turn and struck the plaintiff’s vehicle. Are Milliennials the worst drivers? Do they pose the biggest safety risk of any demographic behind the wheel? As the use of smartphones and other technology has become pervasive over the 15 years, distracted driving and its dangers have increasingly come into focus. Multiple studies have demonstrated the dangers of distracted driving. 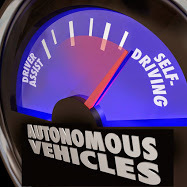 Recently, the AAA Foundation for Traffic Safety conducted a study with drivers of different age groups and found that millennials who were ages 19 to 24 engaged in the riskiest driving behaviors, and some of those behaviors were directly related to technology use while driving. When people engage in dangerous driving behaviors such as texting and driving, they place both themselves and others at risk of severe injuries in accidents. 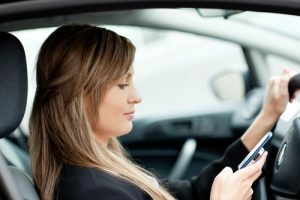 An experienced Los Angeles personal injury lawyer might help the victims of distracted drivers with recovering damages to compensate them for their losses. The researchers surveyed 2,511 licensed drivers who were ages 16 and older, asking them a number of questions about various risky driving behaviors as well as the views that the drivers had about different acts of dangerous driving. 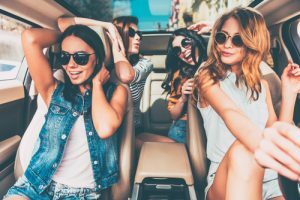 Eighty-eight percent of the drivers who were ages 19 to 24 admitted to engaging in one or more risky driving practices within the 30 days prior to the survey. The behaviors included using cellphones while driving, running red lights, speeding and impaired driving. Drivers ages 19 to 24 were 1.6 times more likely to read text messages while driving as compared to drivers in other age groups with 66.1 percent admitting to doing so. The younger millennials also were twice as likely to send text messages while driving with 59.3 percent admitting to doing so at least once in the prior month. A recent personal injury case that was heard in Los Angeles Superior Court demonstrates a legal concept that is called the eggshell plaintiff rule as well as the difficulties with proving injuries in minor impact soft tissue cases. People who have received soft tissue injuries such as whiplash injuries or others in accidents that were caused by the negligence of other people might need to get help from an experienced personal injury attorney. A 65-year-old unemployed student was driving his Chrysler 300 on Feb. 16, 2012, in the number one lane of the Southbound Harbor Freeway. His vehicle was hit from behind by the defendant, who was working at the time of the accident. His vehicle had minor damage. When the police arrived, the man said that he was not injured and refused an ambulance. After the accident, the man went and took a final exam in one of his classes. Four days later, he went to see a chiropractor and continued treatment for 30 sessions before being discharged from treatment on May 26, 2012. Before being discharged from chiropractic care, the man had MRIs performed on his neck and lower back. A California woman was awarded more than $2.8 million by a jury as compensation for past and future damages for injuries she suffered in a car accident. 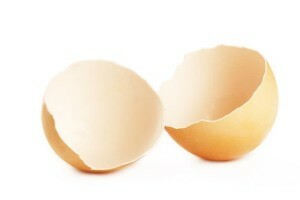 The verdict appears to rely on a legal doctrine known as the “eggshell plaintiff rule.” Although generations of budding attorneys have learned about the rule in law school, its significance in personal injury cases is oftentimes lost to anyone who has not been subjected to a professor’s lecture about it in a first-year torts class. It is still a useful and practical argument for party’s who have pre-existing medical conditions who suffer emotional or physical harm due to negligence. Such was the case here. The defendant in the Sacramento case admitted that she was at fault in causing the car accident in which her vehicle hit the passenger side of a car driven by the 26-year-old plaintiff. Both sides in the case agreed that the speed of the defendant’s car was no more than 15 mph when it struck the plaintiff’s vehicle.